"GO FAST" Footage from Tom DeLonge's To The Stars Academy. Bird? Makes sense. We only know the altitude of the object is stable so it is moving in a plane parallel to the surface. The cos(left) assumes we know it is moving parallel to the jet but this may not be the case, though it seems to be if you look at the movement of the sea compared to the movement of the object. Thanks Kaen. I'm eager to include the left bank if someone wants to pull the roll angles for me as a function of time. Here it the image that was broken in my previous post. Thanks @Mick West for the instructions. The blue line is the plane flying straight and level looking down and to the left at the object. I can confirm that the left bank will reduce the speed of the object. I cranked in a guess of 1 m/s^2 left turn and reduced the object speed to 50 kts. James Thorpe on FB noted a different way of calculating the position of the target, assuming it is not moving. However this put the range at 13.9km = 7.5 NM, when the "RNG" is reading 4.4 NM. Can these two things be reconciled? That may be good, since raw ATFLIR video is interlaced. There are some details in an old brochure. The sensor is 640x480, but the video may only show a square 480x480 part of it. We've debated whether the narrow (NAR) FOV is 0.7 degrees, 1 degree, or 1.5 degrees based on several sources. I read the brochure and some of the others posted here. Mostly they're over my head. Obviously, these elementary details are not available to the public. If they were I guess the dizzying array of math calculations here wouldn't be quite as necessary. I say that with the utmost respect. I think I see what is going on here once I realized that the blue triangle is slanted down toward the object. 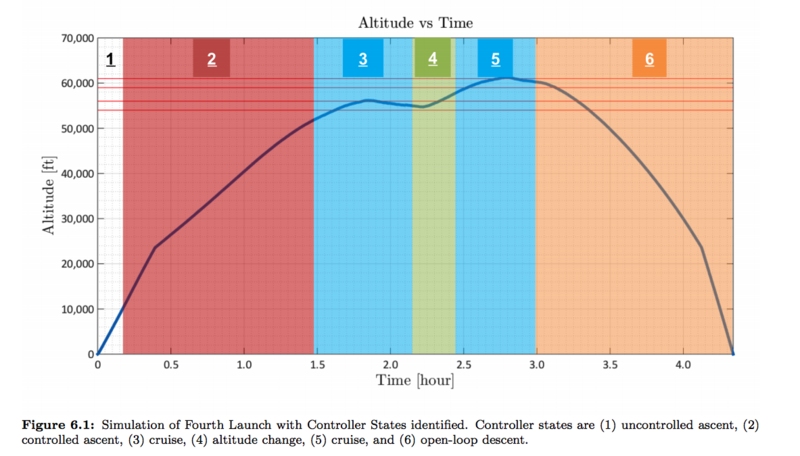 Looks like they too are assuming level flight (easiest assumption). Any path connecting the 13, 923 line with the 12,275 line will represent a trajectory constant with the angular measurements. So put a point on the 13,923 line 8150 meters [4.4 nautical miles] from A and on place another 6300 meters [3.4 nautical miles] from B on the blue line labeled 12,275 and connect the two new points with a line. The red line is a path that is consistent with the angles and distances. The maximum documented speed for an Albatross I found is 104 mph, stated in this study. measurements of one grey-headed albatross during an Antarctic storm showed that the bird travelled for 9 h at ground speeds of between 110 kph (30.5 m s−1) and 168 kph (46.7 m s−1). While rare, I suspect Albatross are much more common than extraterrestrial aircraft. So the question arises if the object in the Go-Fast video could be an Albatross based on its flight path. The question would be if during a 30-second snapshot an Albatross could maintain a fairly straight flightpath. I suspect the answer is yes. The dynamic soaring pattern in the graph is close to the water, not two miles high. Do albatrosses fly high? It could be another bird, though I'm not convinced that a bird would look colder than water in IR. I think temperature could for sure be lower then the surface water being that the bird can fly as fast as 100 mph and would be getting air cooled then. However it would need to be able to fly for at least 30 secs in a straight line which should not be impossible for it to do. And relatively high altitude of 2 miles which seems like the only harder part to explain.. The gull is cooler than land, but warmer than sky. If the ocean was reflecting the sky's temperature, you're probably right. FSU releases two of those balloons per day (see also). I'd say the thermal signature of Go Fast once locked-on by the ATFLIR looks exactly like one of those weather balloons. The ocean does reflect the sky and is about the same brightness, except for the horizon and clouds and such. I also found a huge effect from adding in the left turn on the two point analysis. Here's the plane's flight in a straight line (green), and the same distance with a very slight left turn (red). The two sight lines at 43° and 57° are shown. The initial 43° is unchanged, but the the 57° changes significantly. With the slight left turn, this now becomes the very different short orange line. This animation shows the effect of varying the turn rate on the calculated speed. The blue line is the simple two point analysis with jet traveling in a straight line. The orange line is with a variety of turn rates from the jet. The minimum is around 270m in 19 seconds, about 28 knots, 32mph. The bank angle of the jet varies though. So a more sophisticated analysis might reveal more. So, imo, the next non-extraordinary option to consider is a weather balloon recently released, and so still climbing to its upper altitude. A balloon also fits the shape of the thermal signature. A balloon seems plausible. But I would expect a weather ballon to be climbing more. Still, there's lots of different types of balloon. Hi everyone. I just joined after reading up on this subject after becoming extremely skeptical of Tom DeLonge's "To The Stars" companies and their intentions, and the implication of Helene Cooper, Ralph Blumenthal and Leslie Kean (of the New York Times) in what appears to be promotion of Tom's business venture. I don't have much to add outside of the great work already done by everyone else, just came to say I sent in a FOIA request to the Defense Intelligence Agency asking for the full videos being used by the New York Times and Tom DeLonge's companies. As others have said, I suspect these are routine training videos where young pilots are testing target lock systems. You can take almost any video like this and splice it to seem like the pilots "don't know what they targeted" and are "extra shocked" because often they don't unless they get closer, and often are excited they achieved a target lock on something as stupid as a bird. Imagine your reaction if you, a new pilot flying a fighter jet, were able to get a multimillion dollar laser target lock device to lock onto an albatross or weather balloon. 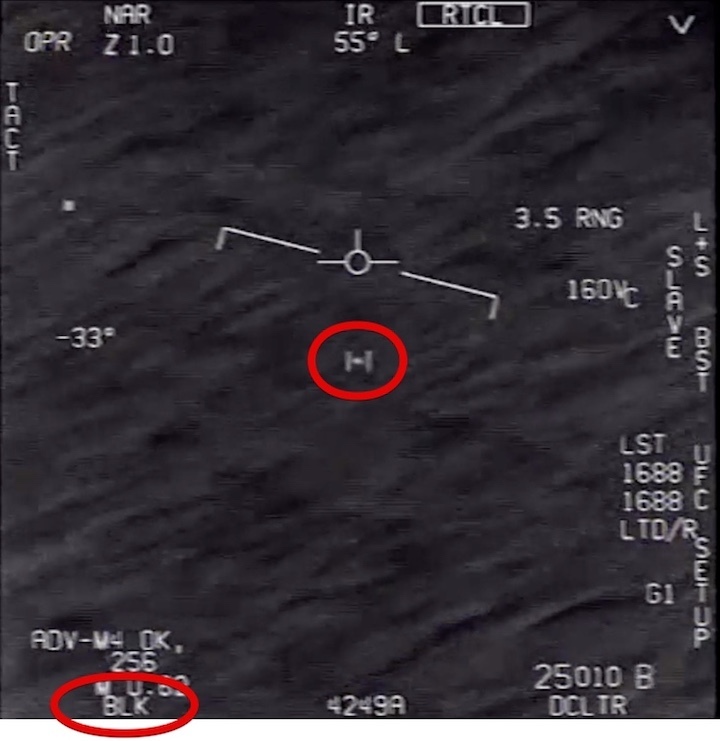 If the objects in these videos were perceived as threats or truly unidentified objects the size of an aircraft, they wouldn't be sending young pilots out on training missions, un-armed, to intercept them. And they certainly wouldn't be de-classifying and releasing the videos. Add to that the fact that these videos allegedly came out of an agency which was nothing but a pork project for US Sen. Harry Reid to give his friend and fellow UFO enthusiast, Robert Bigelow, a boatload of cash. The whole concept is just ridiculous. I'll post here if and when I hear back. This idea coincides with my assumption that the three videos are recordings of training and practice flights of the NAVY in which training objectives are used and approached with deceptive missiles. You need not bother filing any request. As I just wrote on my Bad UFOs Blog, dozens of such requests have already been filed by UFO researchers and by reporters. Nobody has turned up anything so far, they are all coming back "no records." From a graph in this study it looks like with no wind a 1-meter radius helium weather balloon @ 10,000 ft would ascend around 383 ft over 30 seconds or if it was hydrogen filled would ascend around 433 ft over 30 seconds. 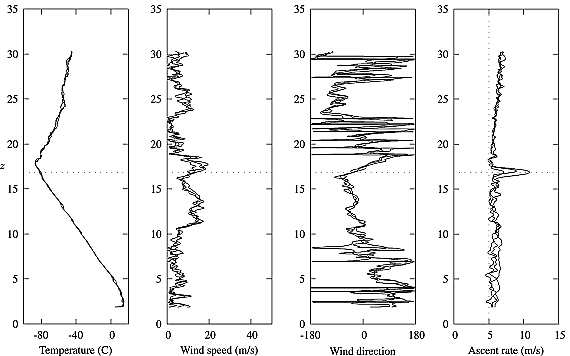 The fact that the study says, "We will assume throughout this paper that there is no wind, so that the balloon velocity is vertical," implies that wind can have a considerable impact on ascent rate. I'd presume that impact would be to reduce the ascent rate. Looking at the sea surface in the Go Fast video, I'd say there's significant wind occurring. The range relevant to our analysis is, I believe (if I follow, the Go Fast object is around 10,000 ft), at the edge of the uncontrolled-ascent phase, zone 1. 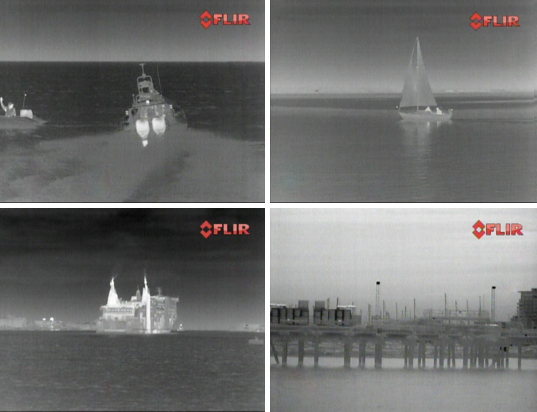 The ascent during 30 seconds with high winds might be trivial or even too small to detect on the ATFLIR. The y axis is altitude in kilometers. Wind doesn't seem to have a dramatic effect on ascent rate. 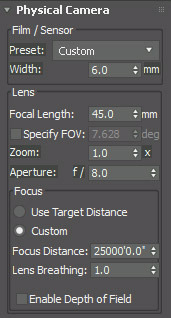 Try specifying the different FOV values like .7 or 1.5 degrees. Or a focal length of 35*30=1050 mm. They published more details about the Global Hawk's and Predator's cameras, but those are different. To confidently recreate the scene in 3D I really am going to need that cmos/ccd image sensor size. 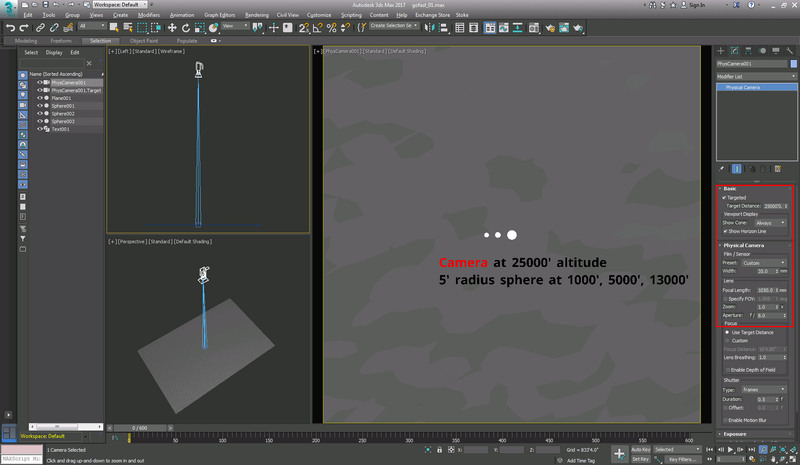 Here is the first stage at setting up the 3D. For now the camera is just perpendicular to the ocean surface and I started with plugging in 1050mm for the focal length, you can see the camera settings highlighted in red. Also, I saw the RNG in some of the math equations, can someone explain what it is? And what is the Vc? Vc is the closing velocity, presumably in knots. i.e. the component of the relative velocity of the object parallel to the line of sight. So from what I can work out the ATFLIR is modelled in the F/A18 Hornet pack for flight sims https://www.vrsimulations.com/superbug.php so the devs know the specs. Yes, I've been following along, but I see the math and become simultaneously intrigued and discouraged. Things don't start to gel until I try a practical approach for myself. 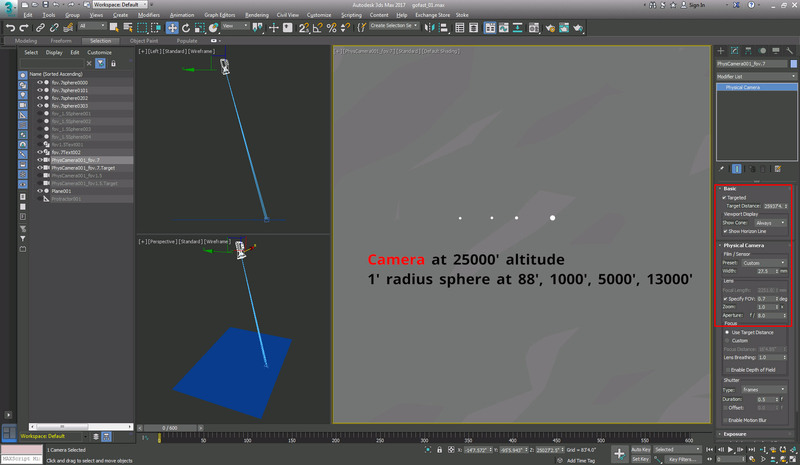 Applying a -26° angle and changing the FOV to .7 drops the sphere in my Max scene down to a 1'-2' radius. I'm not sure why TTSA is pushing this video. But, I would like to get an approach down because Mr. Elizondo has said there are about 24 other UFO videos being declassified for release to the public in the coming months. 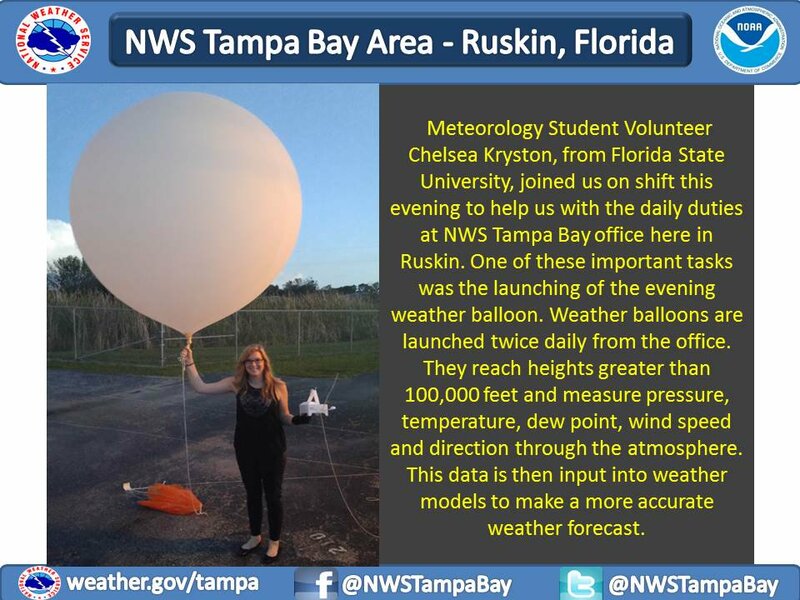 Essentially the same size as a weather balloon like the one above. Gas released from a pressurized tank can be freezing cold. I wonder if that would cause the gas in a recently filled weather balloon to be markedly colder than the surrounding atmosphere, like Go Fast. 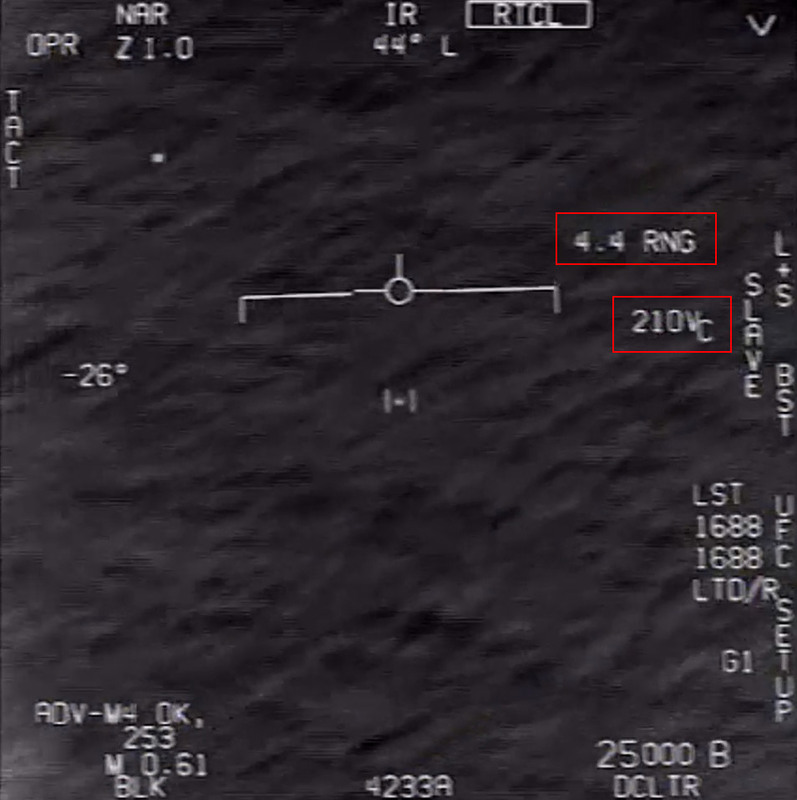 In a quick search I didn't find such a weather balloon imaged on FLIR.